maart 2014 | xxxiv + 1372 blz. 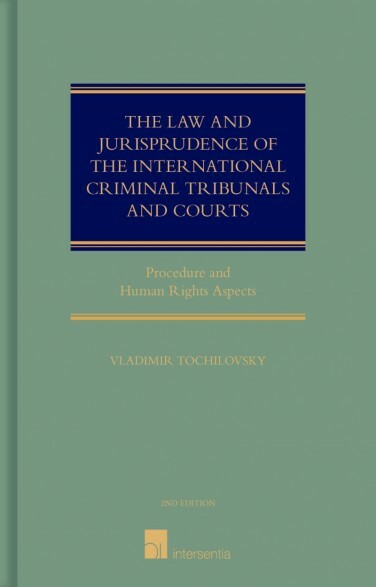 This book provides the most comprehensive overview of the law and jurisprudence of the ad hoc international criminal tribunals and courts, and the International Criminal Court. 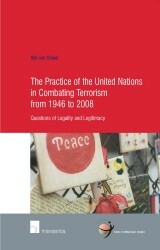 It also includes relevant jurisprudence of the European Court of Human Rights and practice of the UN Human Rights Committee. 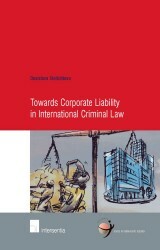 It examines the nature and evolution of the relevant statutory provisions and of the procedural rules of the international criminal tribunals and provides the rationale behind the evolution. While the book is built on the previous publications by the author, it significantly expands the subject matter of the relevant jurisprudence and reflects developments and current state of the human rights standards in the international criminal procedure. 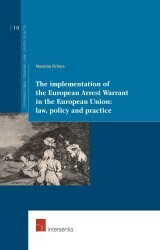 The cited jurisprudence and law is up to date as on 1 September 2013. 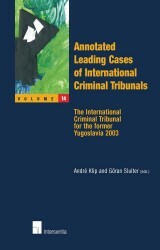 The book contains a digest and analysis of relevant decisions, orders and judgements and the law of the International Criminal Tribunal for the Former Yugoslavia (ICTY), International Criminal Tribunal for Rwanda (ICTR), Special Court for Sierra Leone (SCSL), Extraordinary Chambers in the Courts of Cambodia (ECCC), the International Criminal Court (ICC), as well as the relevant judgements of the European Court of Human Rights (ECtHR).